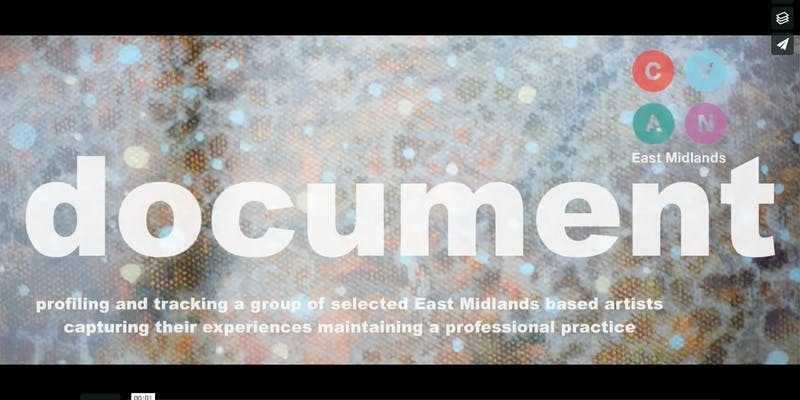 In 2016 six artists, living and working in the East Midlands, were selected to take part in Document, a project that set out to tell their story, in their voice. Since then the Contemporary Visual Arts Network East Midlands (CVAN EM) has worked with those artists as they have reflected on their practice and captured their experiences. CVAN EM and Artcore are delighted to screen a series of short films commissioned for Document, in which filmmaker Bill Newsinger captures refelections on their practice and their involvement in the project by Andrew Bracey, Geoff Litherland, Jessica Harby, Kajal Nisha Patel, Tim Shore and Tracey Kershaw. There will be an opportunity to meet some of the artists at the event.